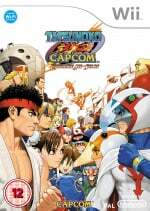 The saga in localizing the Wii-exclusive fighter Tatsunoko vs. Capcom continues! Over at the Capcom Unity blog, a new post urges fans to "keep hope alive" for the fighter, and includes a video from Chicago's "Frosty Faustings" tournament using the Japanese version and featuring Viewtiful Joe, Chun Li and Karas, which you can lay your fine eyes on below. A Capcom rep Twittered that the company has two new titles to unveil at E3 next month, so let's keep those fingers crossed it has something to do with all this teasing. I hope its a C vs T game. It breaks my heart to see Viewtiful Joe get creamed like that... or for that matter to see ANYONE get creamed by the cheapskate attack Chun-Li does whenever you mash the kick button. Anyhow, I'm not too interested in this game if half the characters are from anime shows I don't have the smallest bit of interest in. The only thing better than an announcement of this on Wii in NA soon is that there is gonna be a Marvel Vs. Capcom on Wii sometime. 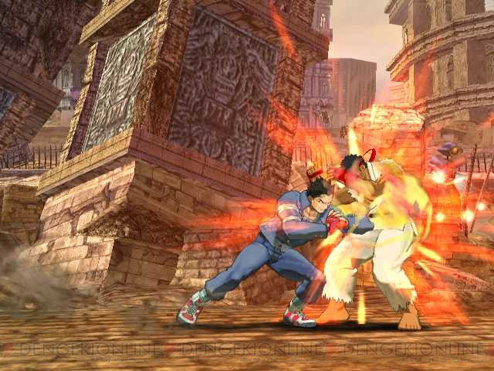 What i really want from Capcom is Strret Fighter IV . They broke the hearts of many Wii owners when they announced its not goint to be on Wii . Just hopefully Capcom amends things a bit . I agree, Street Fighter IV for the Wii would be amazing. C'mon! T vs. C FTW! Should we hold out much hope for a euro release? My fingers are so firmly crossed at the moment it's actually kinda hard to type! @ Damo: Lol yeah, me too. If this gets released here, i am definintly buying a second classic controller, playing fighting games with the cube is a sin. 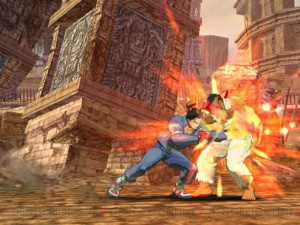 I Would Love To See Street Fighter 4 On The Wii. I have this game for my japanese wii. It's the weakest entry in capcom's versus series I think. The 2d is great, and the game is fun overall, but i find it annoying how the music always changes whenever a character is swapped during the round. if you have a player that is constantly swapping, then it becomes annoying. another thing i despise with this game are the buttons. I miss the old style of 3 punch and kick buttons. Heck even mvsc2 with its 4 buttons are better than this atrocity. And lastly, the final boss is super lame. I had more fun fighting Apocalypse in xmen vs street fighter. I really hope they will bring this game out. I hope they even try to sneak in online play. Nintendo better let Capcom know that they want to keep their "Core" gamers. So they better give them what they want. So come on Capcom give what the fans wants.